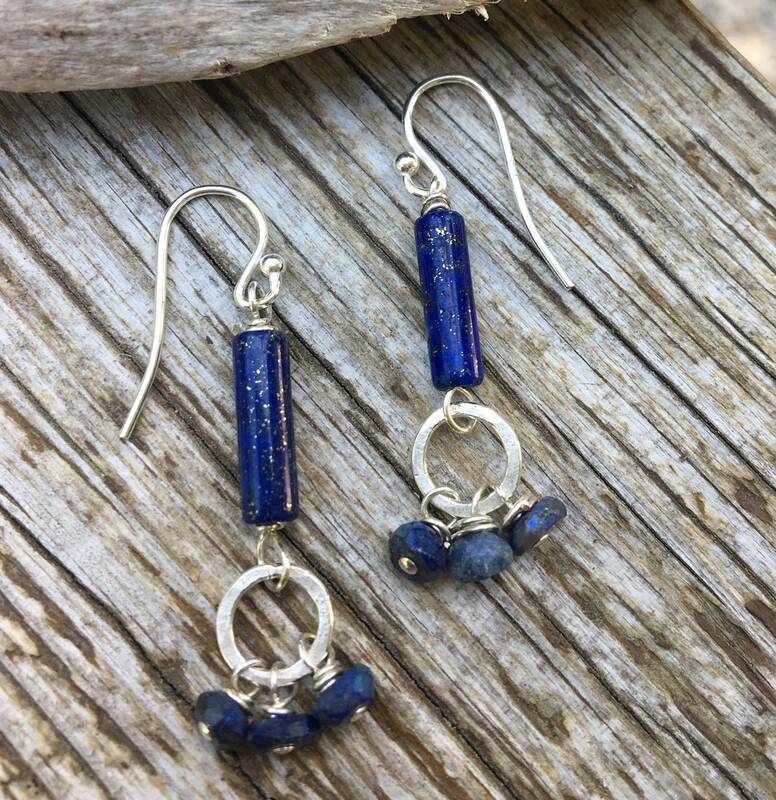 These sterling silver earrings have a barrel shaped Lapis gemstone that is hand wired to a hammered circle. Delicate Mystic Lapis gems freely move on this hammered ring. 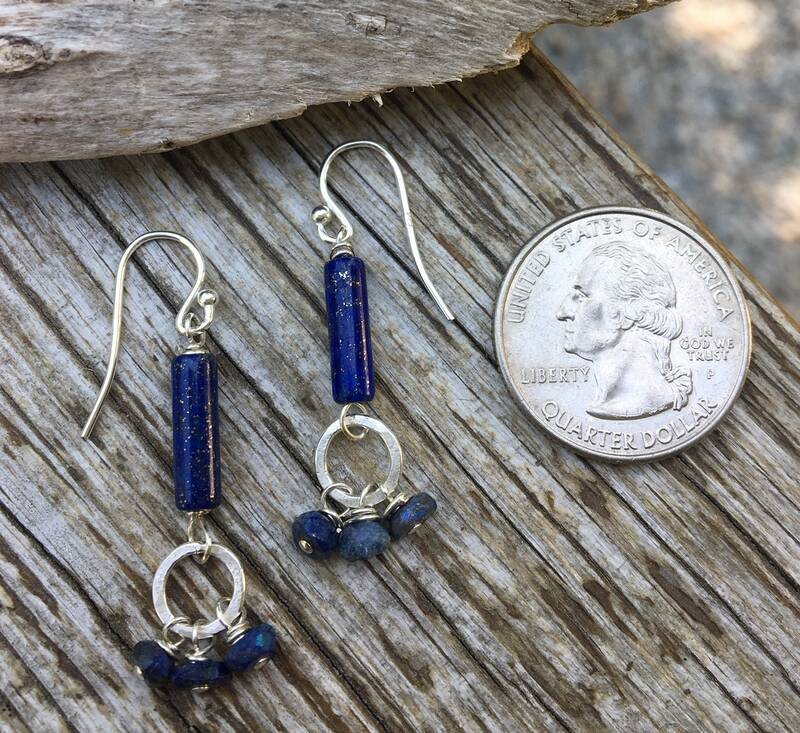 Each earring measures approximately 1 1/2" long. Fish hook wires.